How can one forget chocolates while celebratingValentine’s Day? Valentine’s Day is all about eating, spending time with your loved one so on this chocolates business is on the peak. On valentine’s day people prefer eating milk chocolate but last year in America this was on the record that dark chocolate was eaten more than any other one. Dark chocolate trend making Valentine’s Day healthier was observed last year. The dark chocolate is good for the health and the research says that dark chocolate is best for them who have blood pressure and have cholesterol problems; dark chocolate contains such ingredients, which control these diseases. On special occasions like Valentine’s Day, everyone loves to eat chocolates so eat dark chocolate trend making Valentine’s Day healthier. There was a time when dark chocolate availability was limited, only some people can eat it. Now it is everywhere in cafes and in markets. The trend of making things have changed many cafes is now making cookies and donuts with dark chocolate. The things with dark chocolate are more delicious and people love them more. Eating dark chocolate is a trend now in Pakistan too, even many companies have started making dark chocolate products and cakes. Companies like ‘Kit Kat’ and ‘Celebrations’ have even introduced dark chocolate new range. A lot of research has been done on the benefits of eating dark chocolate so it was found out that this is full of anti-oxidants which is a good for the body and it also protect against diseases like cancer and heart problems. Everyone loves to celebrates Valentine’s Day with much zeal but young couples are also worried about their health they are very conscious about their weight so for them it is best to eat dark chocolate. You need to make sure that you do not eat too much. Dark chocolate trend making Valentine’s Day healthier also shows that many old couples who are suffering from many diseases but still celebrating the day can eat this and can feel the joy. It has lots of health benefit but other than that many children loves to eat it maybe because of the bitter taste or maybe they do not want to eat sweet chocolate anymore now. Children think that it is homemade so they love eating it. By eating dark chocolate you can celebrates lots of Valentine’s Day. 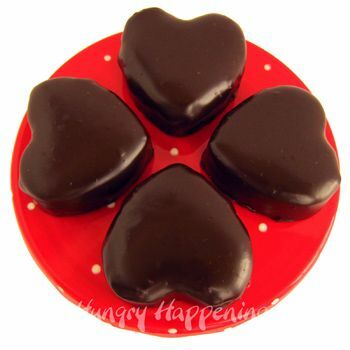 Dark chocolate trend making Valentine’s Day healthier is all about eating that chocolate which makes you stay healthy. Everyone has different taste when it comes to chocolate. The famous chocolate brand Lindtt is been eaten everywhere in the world. People who like pure dark plain chocolate this is for them. Some of us likes to eat that kind of chocolate which has some crisp in itself so for them nestle crunchy dark chocolate is the best option. On Valentine’s Day almost 70% of chocolate is been consumed but at least people now know that what they are eating is good for health; the day dark chocolate is in the market everyone eats that. No one can compromise when it comes to health. Valentine’s Day will be more beautiful when you know that you are eating healthy chocolate. Woman always wants to look young beautiful so for them dark chocolate is best. It can protect your skin from sun and improves the flow of blood circulation. Many old couples celebrate Valentine’s Day with same zeal as young one is celebrating. Dark chocolate trend in making Valentine’s Day healthier is a fact because this is a great source of minerals and vitamins for the body and when you get old, you need it more. Dark chocolate is full of potassium, copper, iron and magnesium. Valentines is day when you know take care of your loved so one should also tell everyone to stop eating milk chocolate and start eating dark one. Health is more important and if you are healthy, you will celebrate many valentines’ day with your loved ones.